Although legally protected, turtle populations in Kenya have declined by more than 80% over the last 30 years, with 85% of turtle mortalities due to human activities. 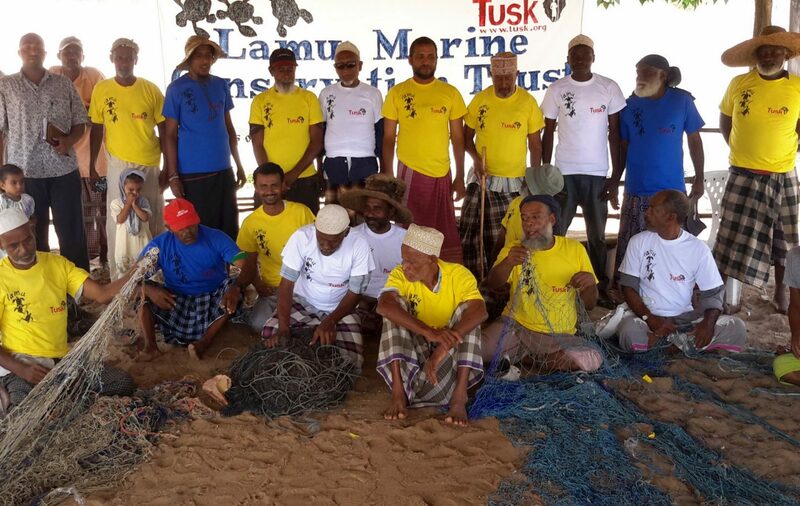 The Lamu Marine Conservation Trust (LAMCOT) was set up in 1992 as a response to the unsustainable harvesting of turtles and their eggs in the Lamu archipelago of northern Kenya. It has maintained a focus on turtles whilst expanding its links with the local community to work for both conservation and local development. Current turtle protection efforts include beach patrols, nest protection (which has seen the release of over 90,000 hatchlings), and payments to fisherman for bringing in live turtles (which are measured, tagged and returned to the sea). LAMCOT has also secured permanent buoys in delicate reef habitat so that snorkeling trips can tie their boats without dropping damaging anchors onto the coral. The education programme visits local schools on a weekly basis, passing on messages about turtles and environmental protection in general, and also health issues such as hygiene, substance abuse and HIV / AIDS. Tusk has been the primary funder of LAMCOT since 2000. We provided the project with a boat for beach patrols, and consistently cover the core running costs. Funds raised from guests staying at the Peponi Hotel are used to buy further equipment and supplies as needed. The community initiatives of LAMCOT are an effective and cost efficient way to protect these vulnerable turtle populations. But funding must be maintained to keep them safe from overexploitation.